InSight, NASA’s newest Mars probe, landed on the planet on Monday. The mission comes with an out-of-this-world price tag of $814 million. But, at less than $30 a year per American taxpayer, the Mars probe costs taxpayers less than an annual Netflix or Amazon Prime subscription. After a nearly six-month voyage from Earth to Mars, NASA’s explorer probe, InSight, made landfall on the red planet on Monday, Nov. 26. 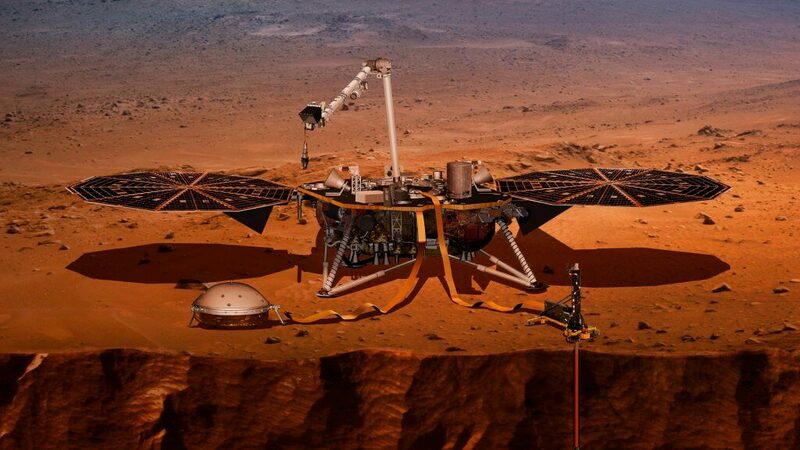 InSight — Interior Exploration using Seismic Investigations, Geodesy and Heat Transport — will remain a stationary fixture on the surface of Mars for about one Mars year, or 728 Earth days. The probe will gather information including temperature, composition and size of the planet’s deep interior. All of the findings to be gained about Mars are arguably a great investment for mankind, but it does come with a price tag of $814 million, according to NASA officials. GOBankingRates crunched the numbers to find out exactly how much the investment costs Americans. Subsidized by federal tax dollars earned from corporate and individual taxes, NASA’s 2018 operating budget of $19.5 billion is determined by the federal government. That might seem like a massive amount of money, but NASA only receives a scant 0.4 percent of next year’s $4.407 trillion federal budget. To bring the mission’s dollar values back to earth by looking at what it will cost Americans taxpayers, GOBankingRates began with the median income of $60,336, according to the most recent census data. Based on that amount, under the new Tax Cuts and Jobs Act, $6,573 will be paid in income taxes per household. Considering NASA’s budget is just 0.4 percent of the federal budget, that means just 0.4 percent of federal income tax is earmarked for NASA. By that logic, the average American pays $29.08 in income taxes for NASA and the space program. Under $30 a year per person feels like a nominal amount in exchange for the information that scientists and engineers will use to draw conclusions about Mars and explore the galaxy. Granted, American taxpayers don’t have much say in how the federal government allocates their tax dollars, but $29.08 per year for NASA is considerably less than annual subscription fees to popular services: Amazon Prime costs $119, basic Netflix is $96 and Spotify Premium is $120. Keep reading to find out about affordable space travel for civilians aboard Virgin Galactic. Meet the founders of The Ripped Bodice bookstore.